As the large baby boomer ages and increases the need for quality healthcare services, there is expected to be a rising demand for the role of registered health information administrator (RHIAs). Since medical facilities across the nation are still making the switch to electronic health records, RHIAs will need to continue overseeing the creation and use of health information systems to effectively manage patient care information. In fact, the Bureau of Labor Statistics predicts that the employment of health information administrators and technicians will skyrocket dramatically by 22 percent before 2022, which will create 41,100 new jobs. If you are considering this booming healthcare career path, read on to learn more about the job description for registered health information administrators. RHIAs are certified professionals who are given the responsibility of designing health information systems that comply with all legal, ethical, and medical requirements. While new patient information into electronic health records is all updated by registered health information technicians (RHITs), it is the RHIA’s duty to manage all of the system’s databases. As a result, administrators are often in contact with other healthcare professionals in their organization to ensure all workers know how to effectively use the information systems in their daily decision making. RHIAs use their expertise in information technology to make certain that critical patient data is properly documented and can move efficiently among different medical providers. Although jobs for registered health information administrators were traditionally centered in hospitals around the country, there are now RHIA positions offered in multiple delivery settings throughout the healthcare industry. Administrators may work to manage the information systems for clinics, physician practices, residential care facilities, nursing homes, mental health centers, ambulatory care centers, and other medical settings. In recent years, there has also been significant expansion in the hiring of qualified RHIAs in non-patient care environments, including insurance carriers, managed care organizations, software vendors, consulting services, government agencies, educational institutions, and pharmaceutical companies. Most RHIAs work full-time schedules during normal business hours in a comfortable office setting with very limited contact to patients. 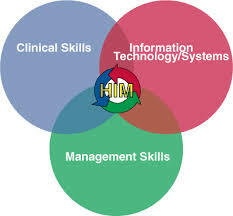 In order to become an RHIA, individuals will first need to successfully complete a four-year bachelor’s degree in health information management from a program that has received full accreditation by the Commission on Accreditation of Health Informatics and Information Management Education (CAHIIM). For international students, graduating from a health information management program approved by a foreign association affiliated with the AHIMA will also suffice. In the final term of study, students will become eligible to sit for the 180-question RHIA examination that covers content knowledge related to management, health data management, and information technology systems. After receiving a passing score, RHIAs will be required to renew their credential biannually by completing 30 units of continuing education. Overall, RHIAs are involved in managing health information systems to ensure the quality, accuracy, accessibility, and security of important patient data in electronic health records. As a critical link between medical professionals, insurance carriers, and patients, the registered health information administrator is a certified expert in managing patient health information and administering computer information systems in order to adhere to legal requirements in the thriving healthcare industry.